Social media has become a key source of inspiration for consumers as they make travel plans, but a new report finds that friends’ posts are more influential than what a brand or publication shares. According to a survey from Allianz Global Assistance, about half of millennials say social media influences their travel decisions. Peer-to-peer word of mouth holds the most sway, as 86 percent of consumers trust their own social networks to post accurate content about travel experiences, while 55 percent deem brands to be truthful on social media. "Allianz Travel Insurance’s Vacation Confidence Index found that social media does impact travel research," said Dan Durazo, director of communications at Allianz Global Assistance USA, Richmond, VA.
"According to our survey, more than half of millennials feel that social media posts influence their own travel planning choices," he said. "Three in 10 Americans of all age groups admit their travel planning choices are somewhat or very influenced by social media posts. "Consumers turn to their friends, coworkers and influencers within the expanding social media world to find travel and vacation inspiration, and even deals to support their newly discovered destination." Allianz Global Assistance’s 10th annual 2018 Vacation Confidence Index is based on an Ipsos-conducted poll of 1,000 U.S. consumers. Three in 10 consumers say that social media influencers their vacation plans. Posts from friends and family hold the most sway, with 63 percent saying they take inspiration from their personal connections. In comparison, only 11 percent are influenced by media, while 9 percent look to individuals they do not know personally and 8 percent look to brands. Around half of consumers get travel inspiration from Facebook, and Instagram follows with 35 percent of consumers turning to its platform. Pinterest is a source for vacation planning for 19 percent of respondents, while Snapchat and Twitter are both used by 13 percent of consumers. Consumers tend to rely more on friends’ posts, but some consumers engage in vacation deception. More than a third of millennials confess to making a vacation appear better than it was through social media. Consumers in older generations also admit to doing the same, but at lesser rates, with only 15 percent of Gen X-ers and 5 percent of baby boomers admitting to being deceptive. The top reason for travelers inflating a vacation on social media is to make friends and family jealous, with 65 percent having done so. Around half of consumers also note that they have been deceptive out of a desire to keep up with others. Reflecting their social media inclinations, millennials are the most apt to have posted about a trip on social media. About two-thirds of them do so to preserve their own memories, wanting to be able to look back on a trip fondly. Fifty-eight percent of millennials focus on sharing photos where they look their best, while 52 percent prioritize making their surroundings shine. Surprisingly, those who admit posting untruthfully still find friends and family the most reliable source of travel inspiration. "Hospitality brands may be the biggest beneficiaries of a traveler’s desire to create perfectly composed, jealousy-inducing Instagram photos," Mr. Durazo said. "Hotels and destinations have an opportunity to maximize their exposure on social media by suggesting Insta-worthy shots and providing incentives for using hashtags or other identifiers in social posts. "The danger, however, is that savvy consumers may begin to grow suspicious of how hospitality brands are portrayed on social media," he said. "Hospitality brands should offer their influencers and their guests unique experiences, unmatched customer service and other points of distinction which can be used to create memorable images of a wonderful trip." Millennials are more likely than other age groups to seek out hotels with luxury services, according to a survey by Chase Card Services. Younger travelers are also more likely to seek out advice on social media than older travelers, with 44 percent of millennials doing so versus 11 percent of respondents ages 50-67. Fifty-seven percent of millennials responded that they want to meet other people staying at their hotels (see story). Hotel brands often tap into influencers and experts to promote their properties. For instance, Mandarin Oriental's ongoing "He's a Fan, She's a Fan" campaign has seen personalities including Christian Louboutin and Dame Helen Mirren share why they have an affection for its hotels. Hospitality group Rosewood Hotels and Resorts similarly further established its authority on all things travel with an assortment of in-the-know influencers via a new content hub. “Rosewood Conversations” is an online destination aimed to create a community for those interested in luxury travel. The content hub will feature weekly features from celebrities and experts (see story). 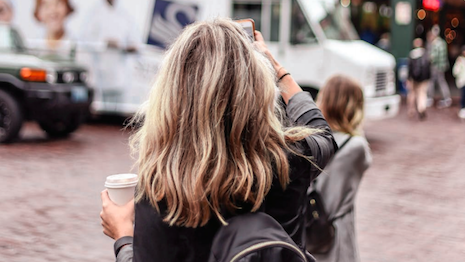 While influencers can move the needle on travel plans, Allianz's report shows that the best influencers may be consumers' own social circle. "The holy grail for travel brands is user-generated content," Mr. Durazo said. "UGC provides brands with valuable third party endorsement that they can use on their Web sites and social platforms to confirm that what they are portraying to the consumer is an accurate picture of the offering. "User-generated content not only impacts the planning period of a trip, but also the trip itself – where to go, where to stay, what restaurants to visit, etc.," he said. "This brings authenticity to the brand."